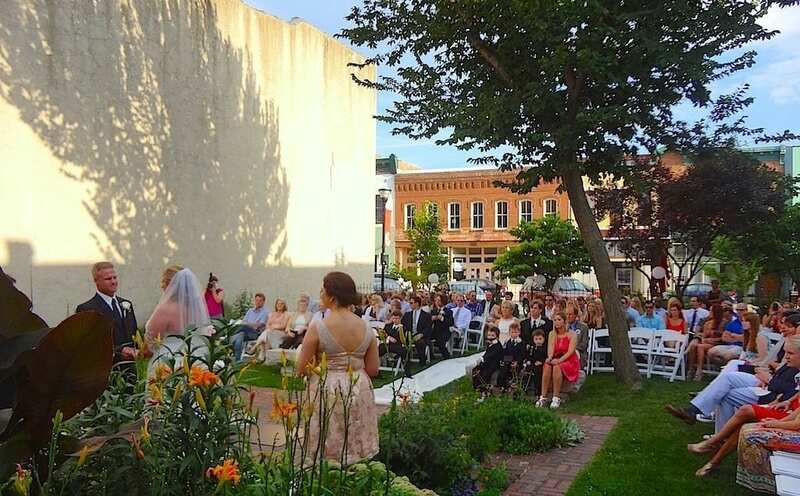 Shaded from the sun as it sets in the west, over the Historic Firehouse, your guests can enjoy the gentle breezes that prevail in the area. 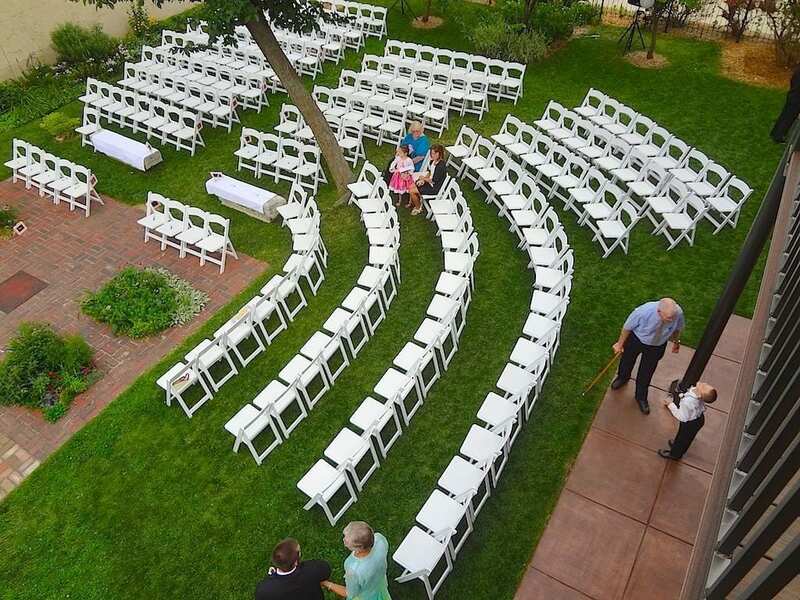 The railroad tracks are located behind the gardens; our staff places no parking signs strategically to keep automobiles out of the ceremonial backdrop. 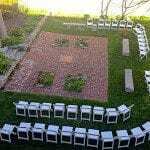 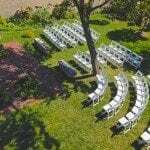 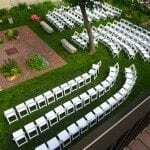 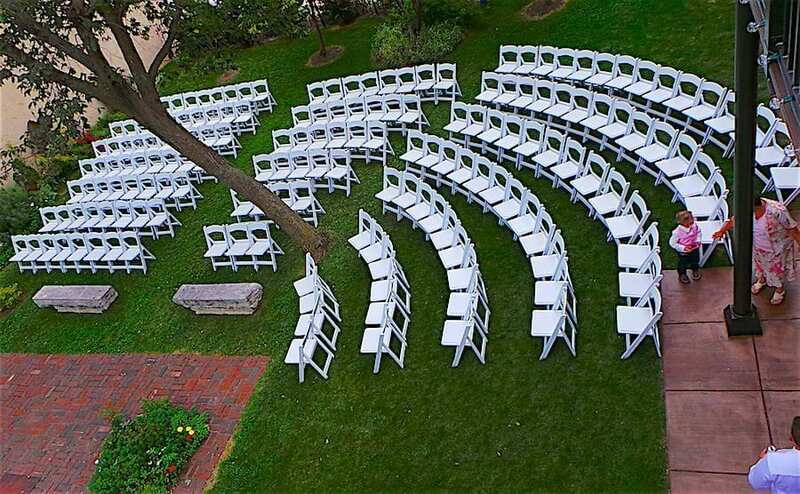 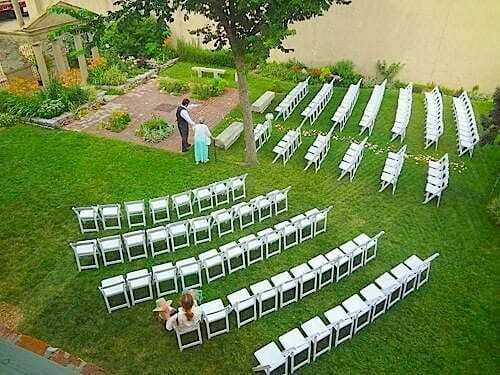 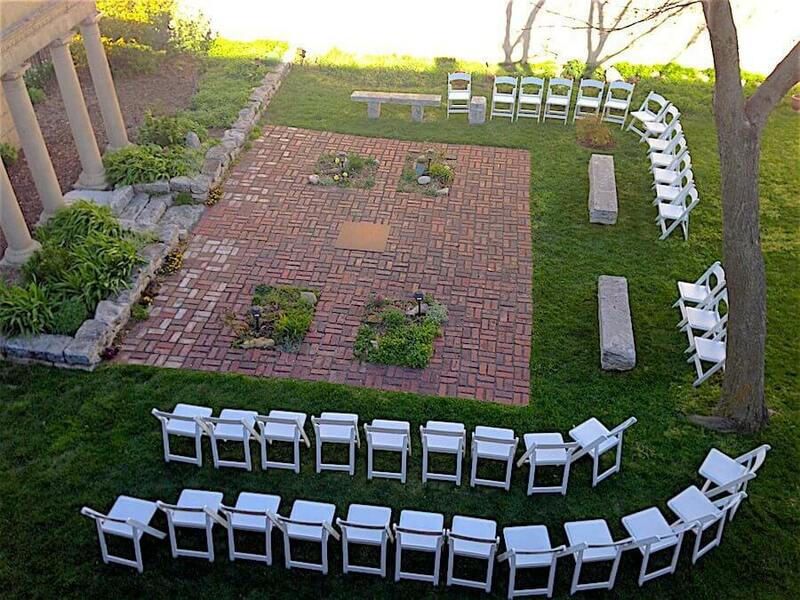 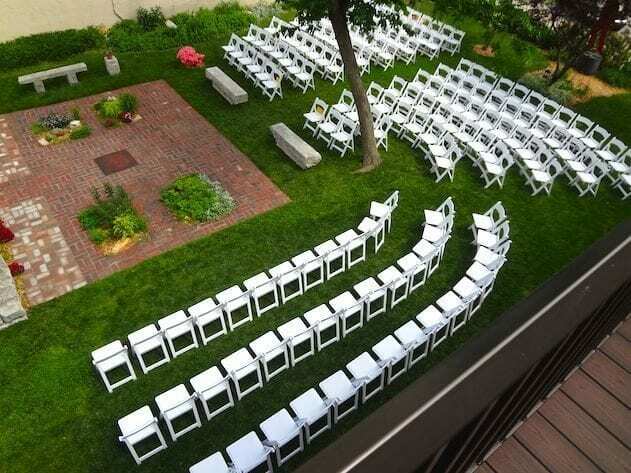 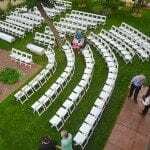 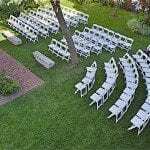 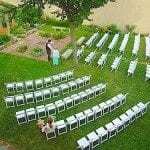 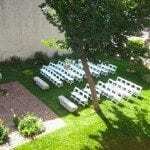 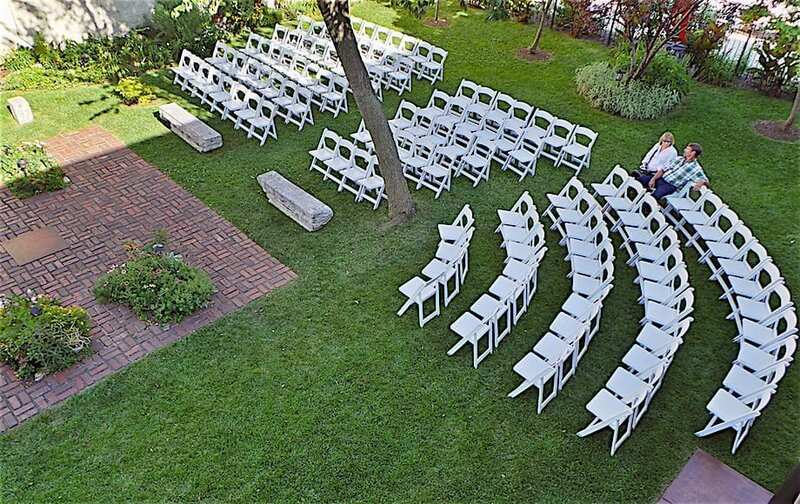 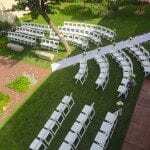 Set up to 250 chairs for a large, formal ceremony. 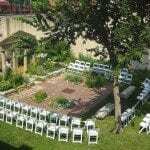 The courtyard garden creates the most perfect, lush pastoral backdrop waiting for those grand double doors open to the bride and her father preparing to give her hand in marriage. 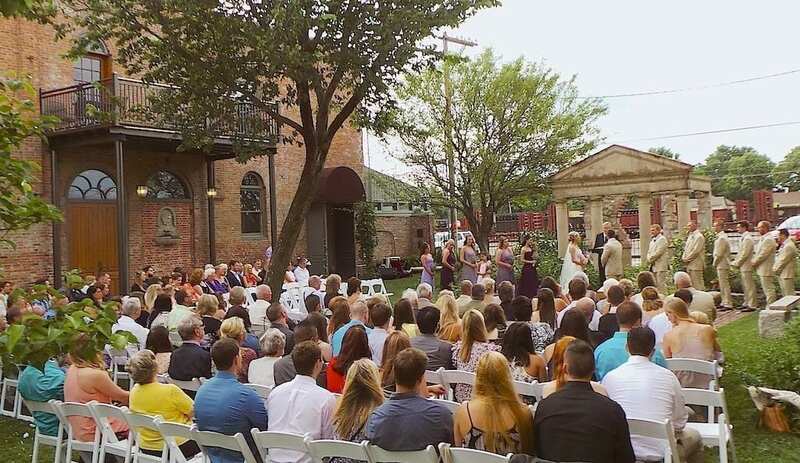 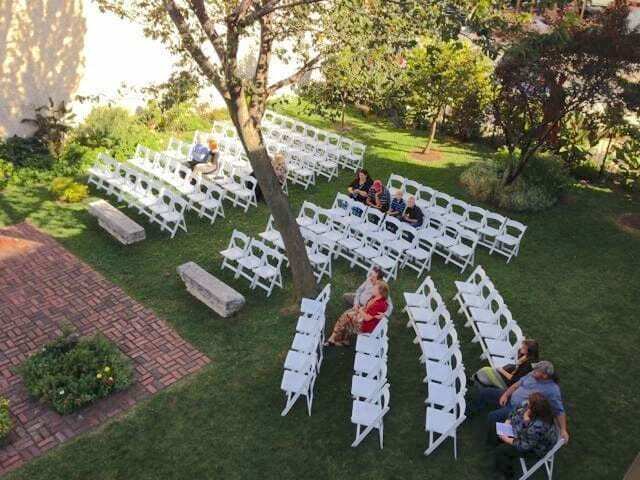 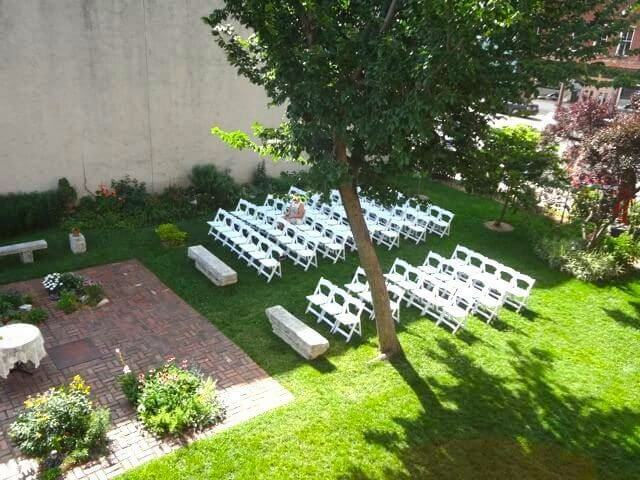 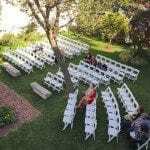 An intimate outdoor ceremony is perfect in the Courtyard Garden at Historic Firehouse No2. 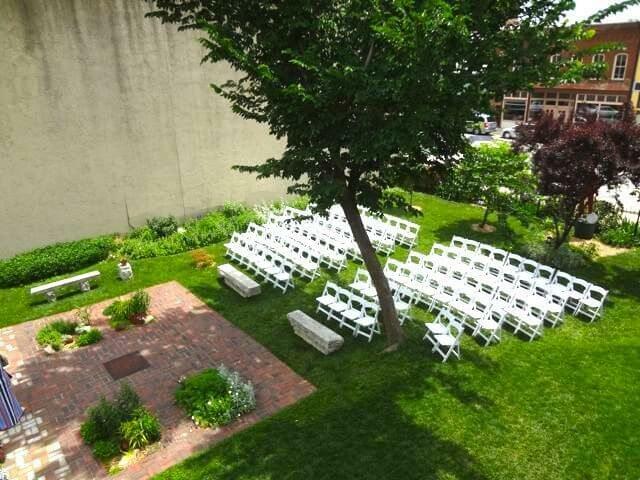 This lush urban garden is an oasis nestled in the Commercial Street Historic District…a peaceful spot in the middle of an exciting, artisan district alive with wonderful boutiques and restaurants. 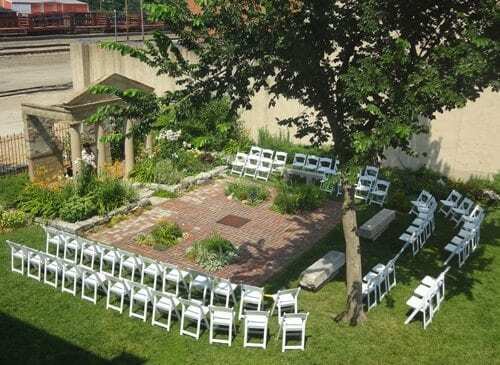 Invite family and closest of friends to a very quiet and private ceremony where you can hear the birds singing and the water flowing in the fountain. 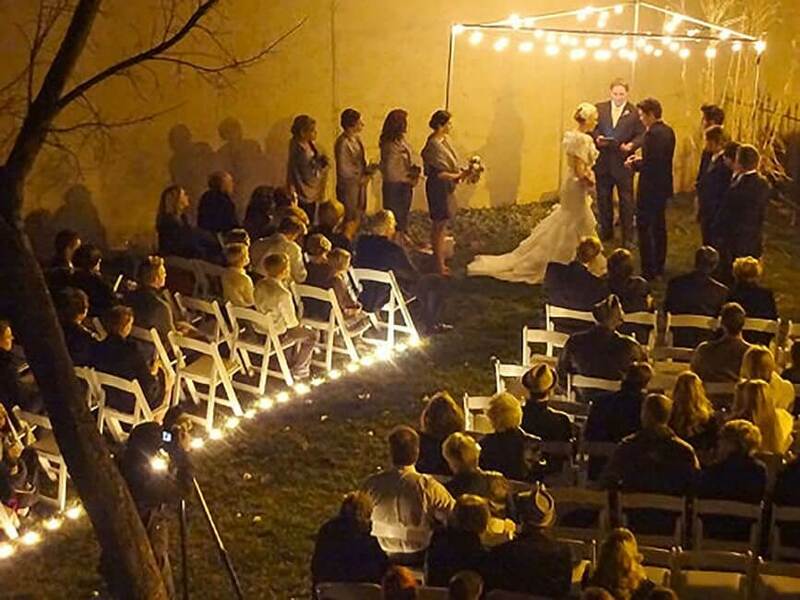 Then invite the rest of your friends to join you inside our Main Hall for a larger reception and celebration. 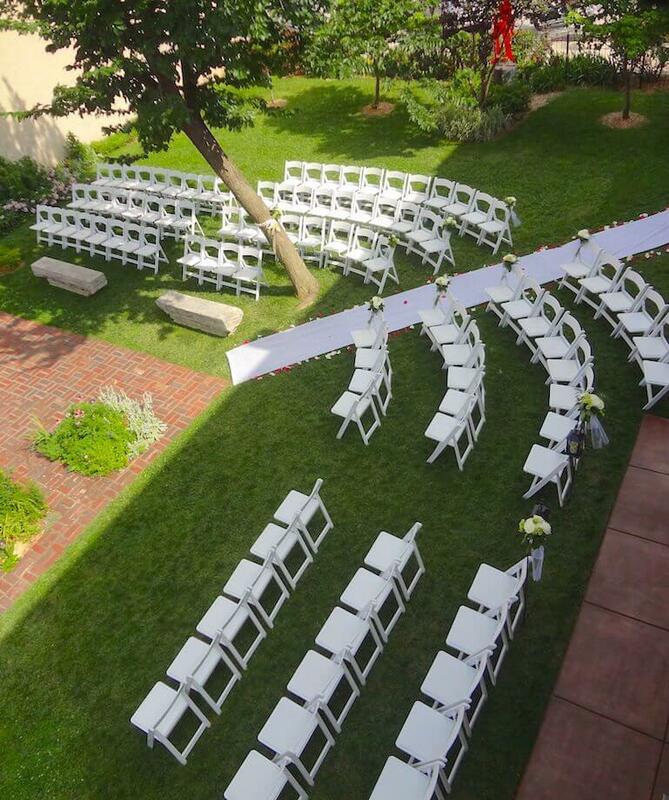 Seasonal flowers accentuate the beauty of our courtyard garden. 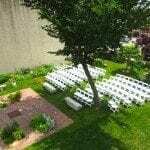 Except in wintertime, native flowering plants and grasses will grace your event. 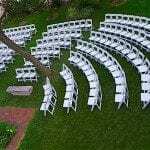 Most find no need for any additional color. 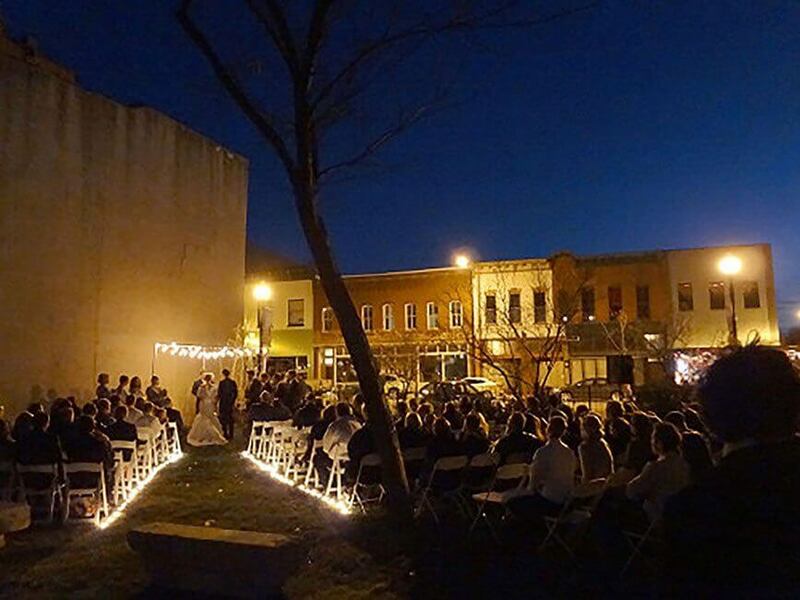 Winter weddings have their own special beauty. 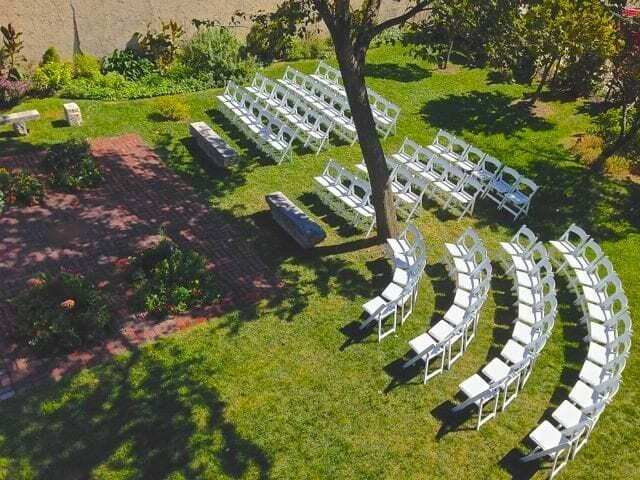 There is a crispness in the air and warmth in the heart which adds elegance to a short, sweet ceremony.